Last Friday, I finally received my Bonus Box* from Rakuten Affiliate Network! I was extremely excited for this box, not only because of the brands that were involved in creating this Bonus Box, but also because the box went missing in the post for 3-weeks and I thought I’d lost it forever! Nevertheless, it magically re-appeared at the depot last week, which meant that I can finally get this blog post out! 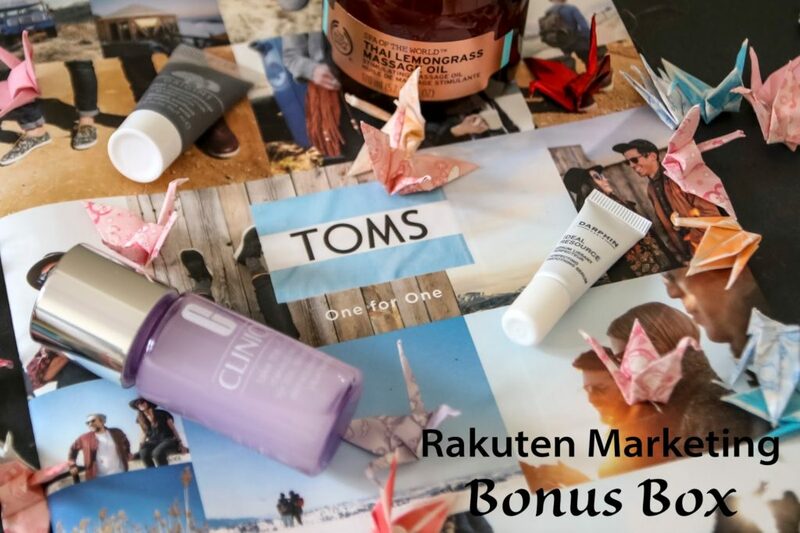 This is the first time Rakuten is doing a Bonus Box in the UK, but the idea is to create a beauty and fashion box with products from Rakuten Affiliate Network’s biggest advertisers. Now if you haven’t heard of Rakuten or Linkshare before, then you’re missing out! It is basically an affiliate network that rewards you on every lead you drive that results in a conversion. The amount of commission you get is dependent on the advertiser,but it can range anything between 4% to 10% or more! It’s a good way of earning a bit extra money if you write good reviews and have a lot of traffic to your blog. You’ll be positively surprised by the number of brands that does affiliate marketing. For instance, the biggest advertisers on Rakuten Linkshare are The Body Shop, Clinique, Origins, Darphin and TOMS. Nevertheless, there are over 1600 advertisers of all sizes on Rakuten, so there’s plenty to choose from. There are of course other affiliate networks out there, but Rakuten Linkshare is one of the most well-known ones in the beauty and fashion industry! 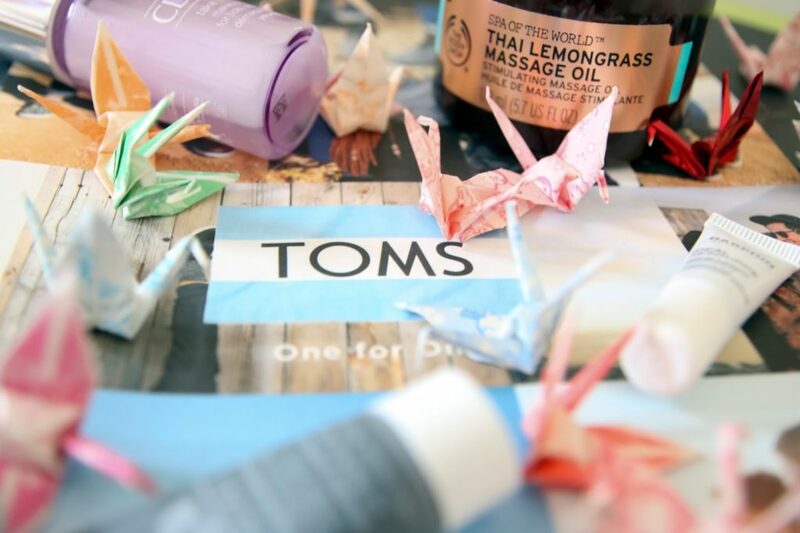 The products I received in this bonus box are: The Body Shop – Thai Lemongrass Massage Oil, Clinique – Take The Day Off Makeup Remover, Origins – Clear Improvement Face Mask, Darphin – Ideal Resource Smoothing Serum and TOMS – Autumn Look Book + 25% Voucher. Since most of these products are sample sized, I’m not going to go too much into details about the review. The Body Shop – Thai Lemongrass Massage Oil: I actually featured this product in one of my other posts on my blog and you can read it here: The Body Shop’s New Range: Spa of the World. The Body Shop is currently offering 30% off some of their most popular products when you use the code: Autumn at checkout. So why not “check out” now? 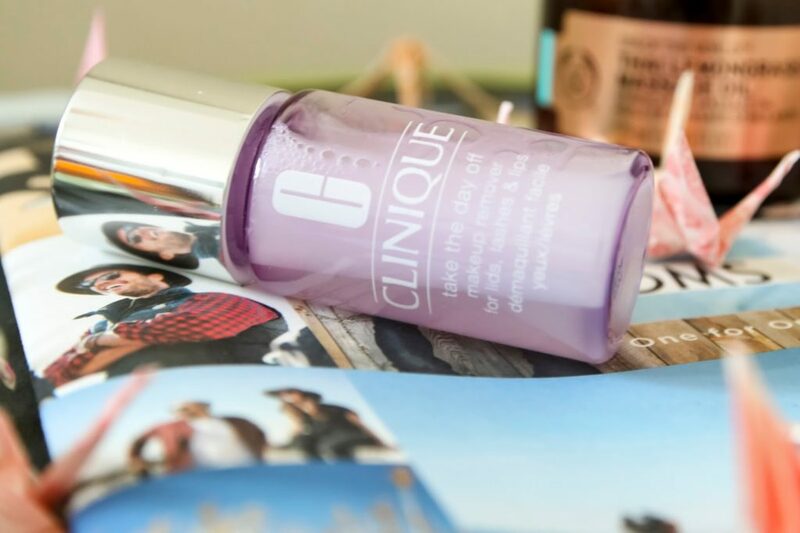 Clinique – Take The Day Off Makeup Remover: This is a very effective makeover remover and it’s really easy to use. 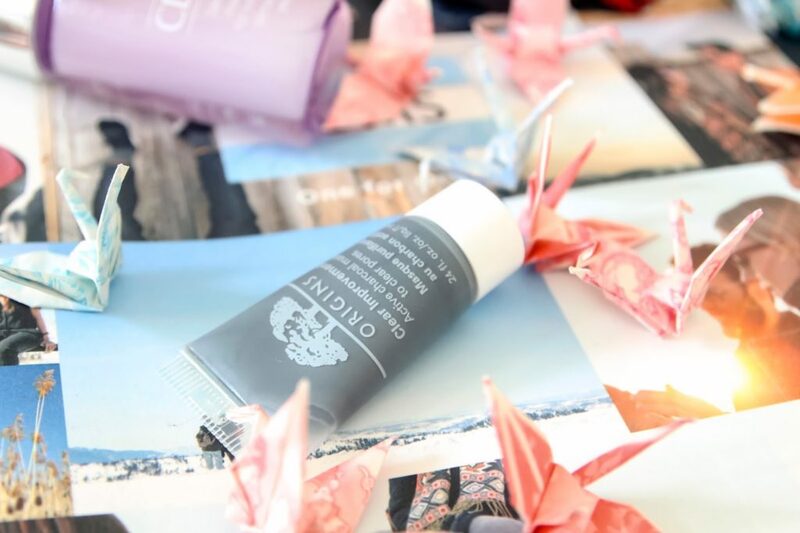 Take the Day Off is one of Clinique’s best selling products because it’s so versatile and works for all skin types. Origins – Clear Improvement Face Mask: Origins is one of my favourite brands because it’s “powered by nature and proven by science”. I used this mask twice and I’m in love because I can literally see my pores getting smaller! I’m definitely getting the full sized version of this! 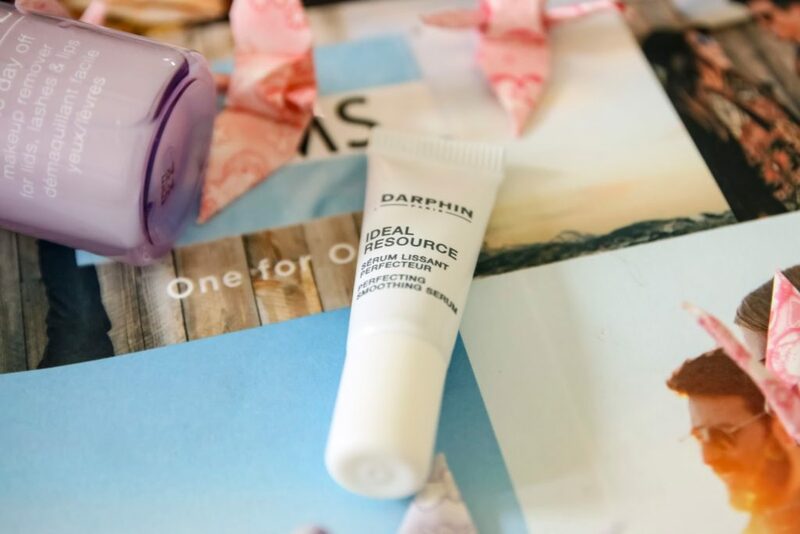 Darphin – Ideal Resource Smoothing Serum: I haven’t really used anything from Darphin before, so this brand is new to me. But the serum itself is really light and soothing and it feels amazing on. If you want to try this serum for yourself, you can get a sample for free when you shop at Darphin. Unfortunately, the Bonus Box is not a subscription box and you can’t buy it anywhere. Although the products were only sample sized, it was really nice being introduced to some of Rakuten Affiliate Network’s programs through a beauty & fashion box. *Disclaimer: This box was sent to me free of charge, but the views are my own!